As the oldest and biggest makerspace in the state, Fort Wayne’s TekVenture is well-known among roughly 50 residents who regularly use its space. But among the general public, TekVenture’s President Chris Knipstein says he’s encountered some confusion. To set the record straight, he explains that TekVenture is a 13,000-square-foot creative space that runs on volunteer labor, donated tools and facilities, and virtually no funding. 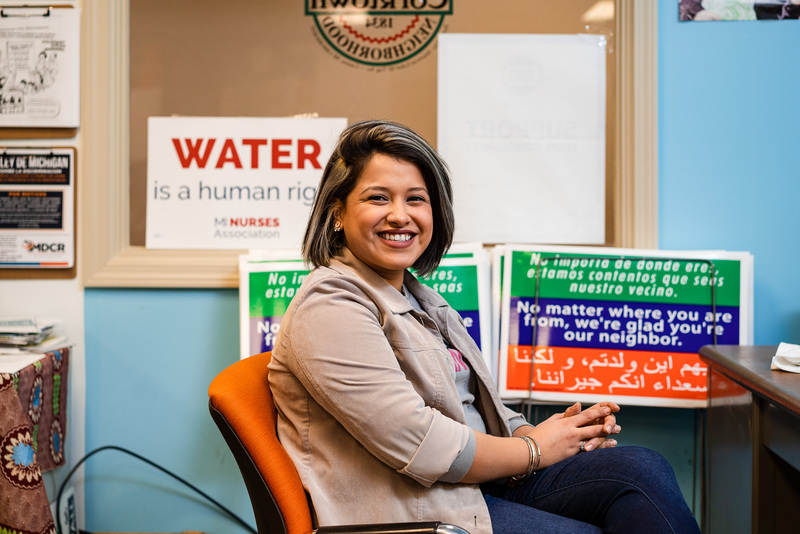 Instead, it's largely financed by northeast Indiana residents who purchase memberships, providing them with access to its space, tools, materials, and expertise to develop ideas and prototypes of products. It’s a place where residents can learn skills and trades in workshops and seminars—everything from pottery to electronics and 3D printing. In short, it’s where ideas are hatched, inventions take shape, art is created, and dreams are realized. As northeast Indiana’s economy evolves to rely more on entrepreneurship, technology, and the skilled trades, TekVenture is poised to play a larger role in the region’s future. “TekVenture is probably the best-kept secret in Fort Wayne,” Knipstein says. 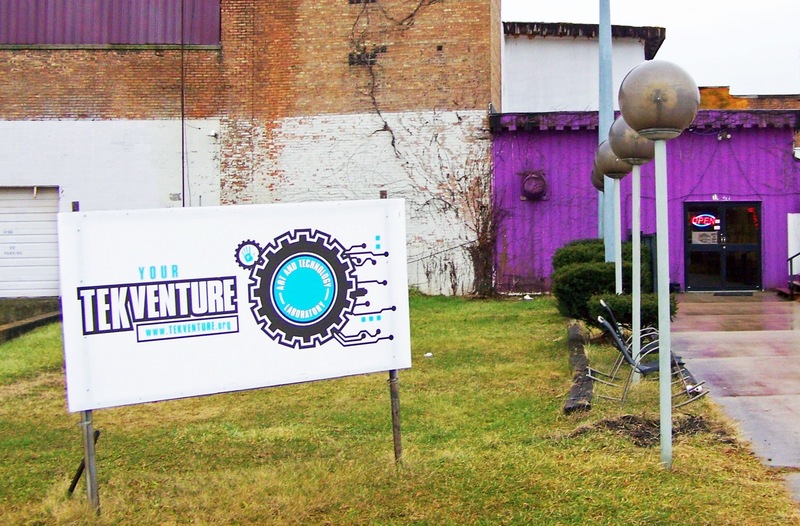 As a public art and technology makerspace, TekVenture burst onto the scene 14 years ago in a 40-foot trailer on the parking lot across from the Allen County Public Library downtown. Its original specialty was 3D printing. As it grew, it moved into a former vacuum cleaner store on Broadway for three years across from the now-Electric Works campus. But with only 4,500 square feet to work with, makers were cramped, Knipstein says. So in 2017, TekVenture moved into its current space at 1550 Griffin St. across from the Lakeside neighborhood in the former River City Night Club. TekVenture is located at 1500 Griffin St. Here, it has plenty of room to host workshops, projects, and tinkering of all types, so it’s hoping to boost its membership from 50 to more than 100 people this year, specifically by including more students and recent graduates. “We want to expand our community outreach to involve more young adults,” Knipstein says. The problem is, young adults are a difficult crowd to reach. 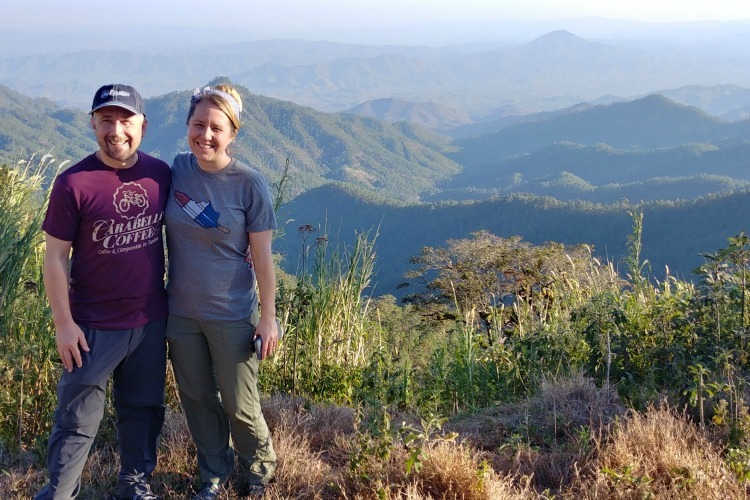 “We’ve publicized on our website and Facebook that we are available to teach welding, industrial sewing machine operation, pottery, electronics, and 3D printing, but there was hardly any interest,” Knipstein says. 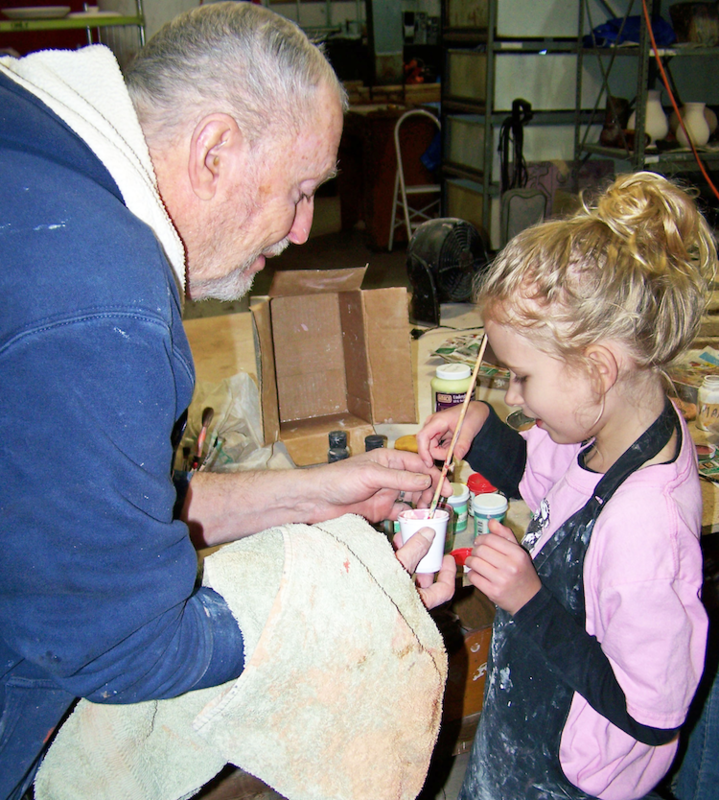 Ceramics teacher, Tom Sherbundy, helps 8-year-old Grace Walter mix glaze for a project at TekVenture. As students are funneled along career paths into college and interest grows in digital-age careers, fewer students are going into the trades, seeking apprenticeships, or working with their hands in their spare time. And yet, as workers retire from trade professions, the demand for these skills is growing. Tinker spaces like TekVenture could be key to closing the gap by familiarizing students with crafts and equipment and getting them to experiment. While TekVenture has no programs specifically designed to help young graduates enter the trades, it’s expanding its class offerings, boosting creative culture, and trying new methods of attracting students and young adults. Enter its theatre company. Now in its second year, a theatre company may seem out of place in an organization of inventors, artists, and tinkerers, but part of its purpose is to get more young adults and people of various interests to see what TekVenture is all about. The group, Ecstatic Theatrics and Video, performs on a 15-by-30-foot stage in TekVenture’s space. Volunteers at the makerspace have added a curtain to open and close during performances and installed workshop lights on the ceiling. “We think it’s a great addition to our overall program,” Knipstein says. 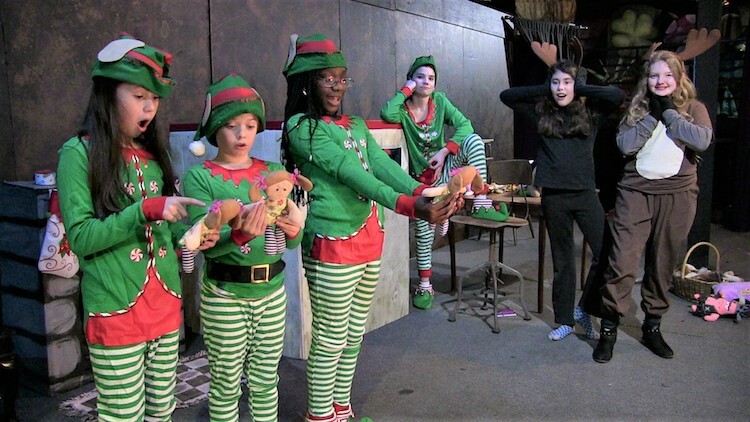 Students perform the play "SNAFU in Santa's Workshop" at TekVenture. 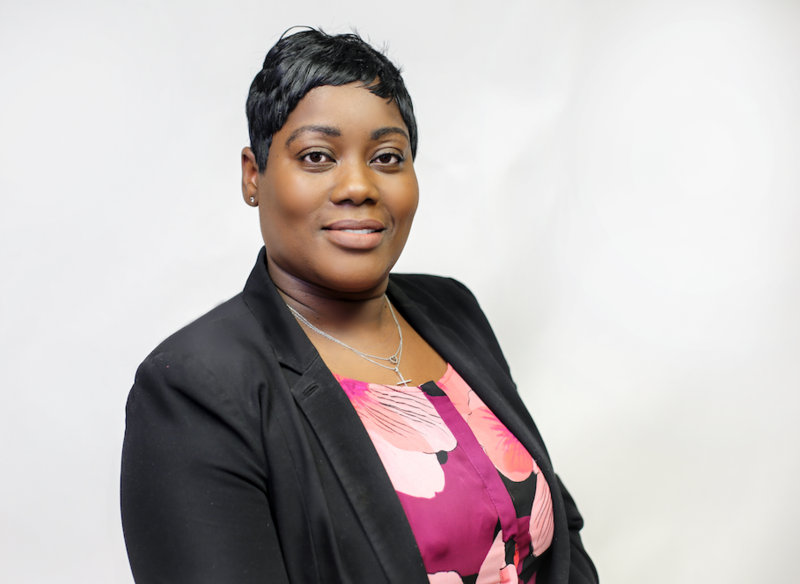 Another way TekVenture is growing is by tapping into the region’s interest in entrepreneurship, equipping creative minds with the tools and space to bring their ideas to life at a bargain rate. Membership rates range from $20 a month for students and veterans to $30 for individuals and $45 a month for families. 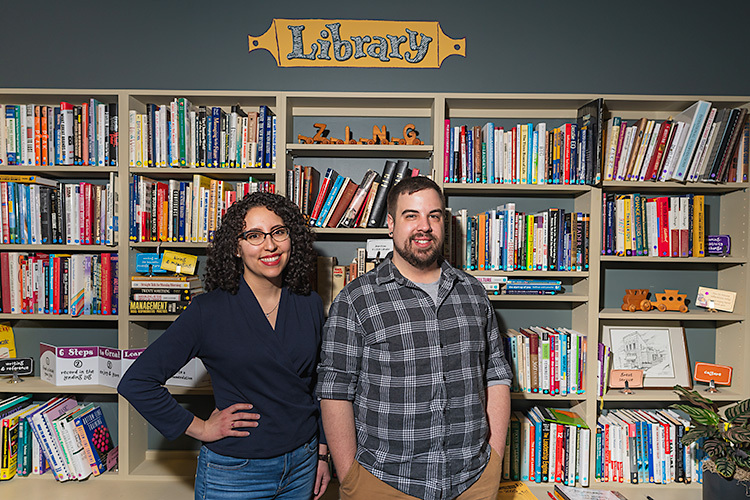 With each membership, residents can have unrestricted use of the makerspace’s tools and hard-to-find machinery, including a laser cutter, industrial-size lathes, milling, and other metal working machines. One member, artist Sayaka Ganz, is working on a six-foot-tall sculpture made of scrap metal that will be unveiled soon in the headquarters of a local corporation. Gabriel Miller is working on a prototype skateboard design he hopes to market in the future. “Supporting people starting businesses is one of our primary purposes,” Knipstein says. “You can’t beat $30 a month for the use of the tools, machines, and expert tutoring.” Daniel Hart teaches classes on 3D printing, board drafting, and computer-aided drafting. He is designing improvements to 3D printers he hopes to market in the future. Looking to the future, Knipstein says TekVenture is looking for more local residents to teach classes and share their skills. At makerspaces across the country, workshops in STEM skills like coding have been successful talent development tools. Knipstein says there is a new member at TekVenture who has coding skills and is available to field questions, but there are no official coding classes yet. So far, one of the most popular classes is a ceramics workshop led by Tom Sherbondy where potters pay $2 per pound for clay to create pottery on the wheel, fire, and glaze their work. Woodworking and electronics workshops are quite popular, too, Knipstein says. 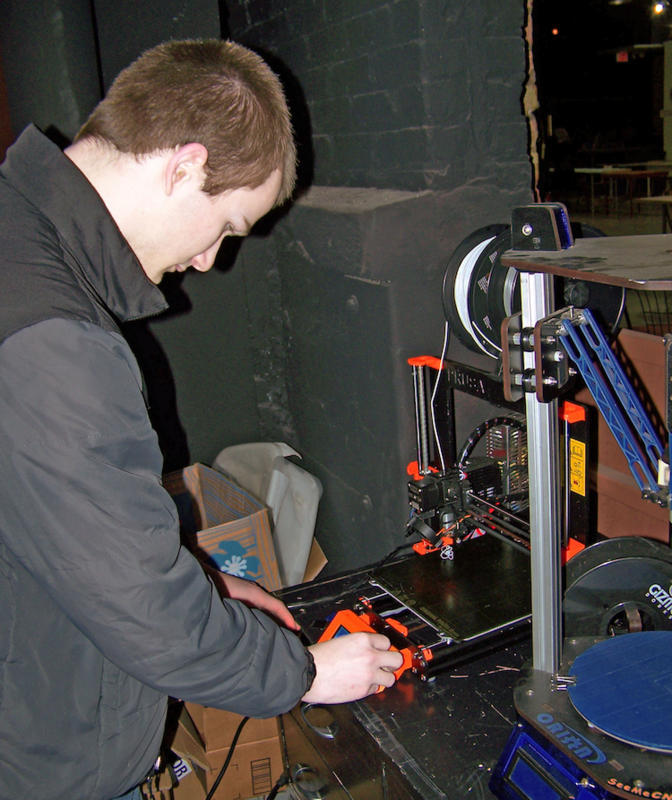 TekVenture also has classes in machining, robotics, blacksmithing, and 3D printing. Along with creating something new, TekVenture members often find ways to be resourceful with what they have, too. This means makerspaces are key assets for innovation, and in Fort Wayne, the opportunities are as limitless as residents' imaginations. “We’d love to talk with instructors who would be willing to teach almost anything,” Knipstein says. TekVenture is open 2 p.m. to 8 p.m. Wednesday through Sunday, with the busiest days being Thursdays, Saturdays, and Sundays. The public is also invited to attend meetings at TekVenture. 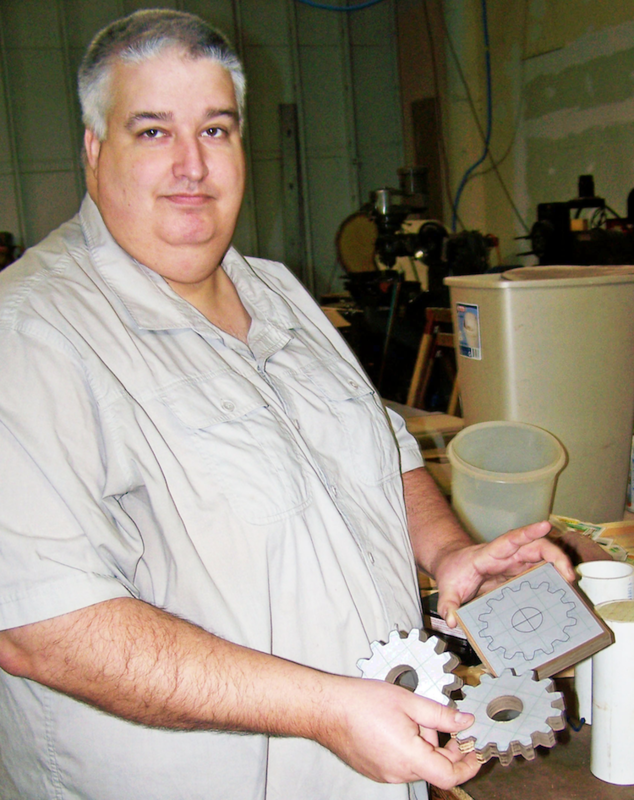 The Fort Wayne Inventors Club meets at 6 p.m. the second Thursday of each month. The Three Rivers Fruit Growers Club meets at 6 p.m. the second Tuesday each month. TekVenture will host a Save Maumee fundraiser event called Another Bazaar Evening on the Maumee on Saturday, February 23, from 2 p.m. to 8 p.m. Admission is $8. Tours of the facility will be available, and products made by TekVenture members will be on display and for sale. On Sunday, April 21 and Monday, April 22, TekVenture will partner with Save Maumee for its 14th annual Earth Day celebration. Membership at TekVenture allows unrestricted use of any of the space’s tools and machines. A family membership is $45 a month, an individual membership is $30, and a student or veteran membership is $20 per month. Anyone interested in teaching a craft or skill can contact Knipstein on TekVenture’s website, Facebook page, or at 260-409-7328.